Anyone who enjoys luxury fragrances knows that they are an expensive commodity. With bottles often going for over a hundred dollars, putting together a decent collection of these fragrances can be incredibly costly. Even worse, unless you have the possibility to test each fragrance before buying it, there is always a chance you will end up disliking the cologne after all. With that in mind, ScentSplit offers sample-size bottles of all the most popular fragrances at an incredibly affordable price. For that reason, if you want to try a few perfume and cologne samples before settling on anything, this service may be for you. What is ScentSplit and How Does It Work? Put simply, ScentSplit is an innovative brand that offers samples and decants of niche fragrances. 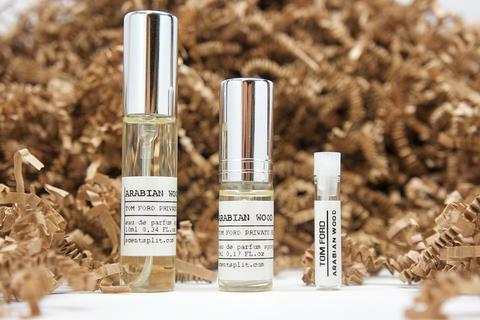 By re-bottling the most requested colognes and perfumes in small amounts, this service allows you to try a fragrance before buying a whole bottle, potentially saving yourself money. Using sterile and safe methods that ensure quality and purity, the decanting process is done entirely by hand. All purchases of these samples and decants are made through the company's website. 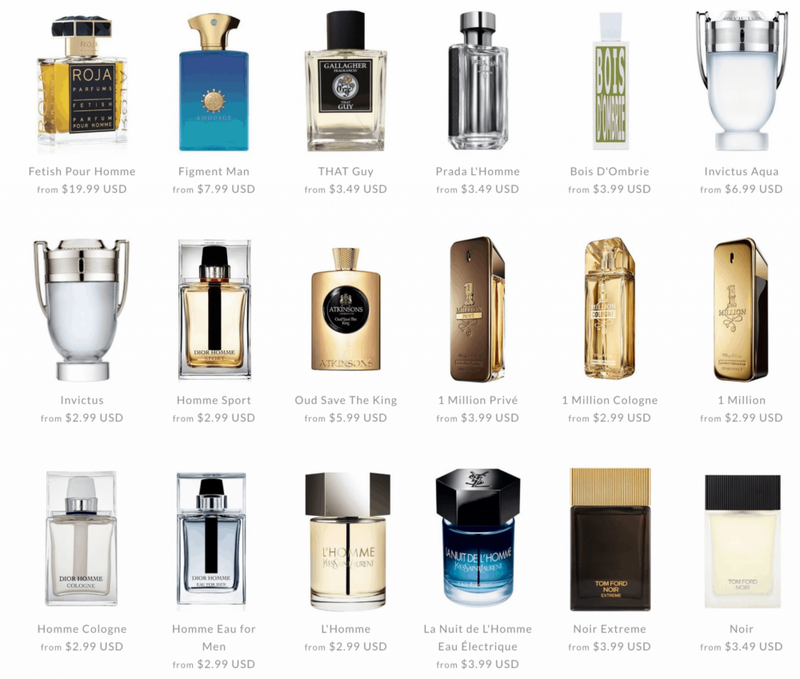 There, you can find virtual catalog that lists all the fragrances that are currently available. The catalog can be viewed by brand, gender or top sellers and is fun to browse through. How Does Scent Split Work? If you are looking for a cheap cologne sample that is high-quality and purity, Scent Split is definitely the place for you. As a matter of fact, ScentSplit specializes in bottling small quantities of mens cologne as well as perfumes and luxury fragrances that may be for women or unisex. These perfume and cologne samples are incredibly affordable, allowing you to try various different fragrances until you find the one for you. Each sample has a different price that ranges from $2 to $15 (approximately). At the same time, ScentSplit also offers full bottles at retail price. • Affordability: As previously mentioned, ScentSplit gives its customers to get samples of the most exclusive fragrances in the world at a low price. 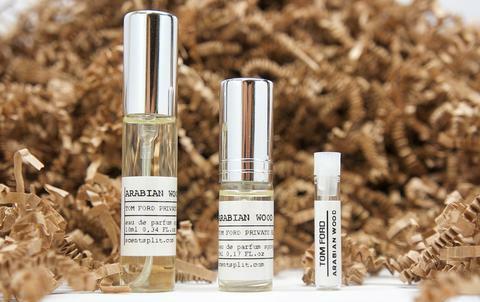 This allows users to try any fragrance for some time before deciding to buy a full bottle. Additionally, it's perfect for those who are simply looking to get a cheap cologne sample. • Variety: ScentSplit carries products from dozens of different brands, resulting in a huge variety to choose from. This includes fragrances for men and women, and also unisex fragrances that can be worn by either gender. • VIP pass: ScentSplit offers its most dedicated customers a VIP status that grants them discounts and special offers. 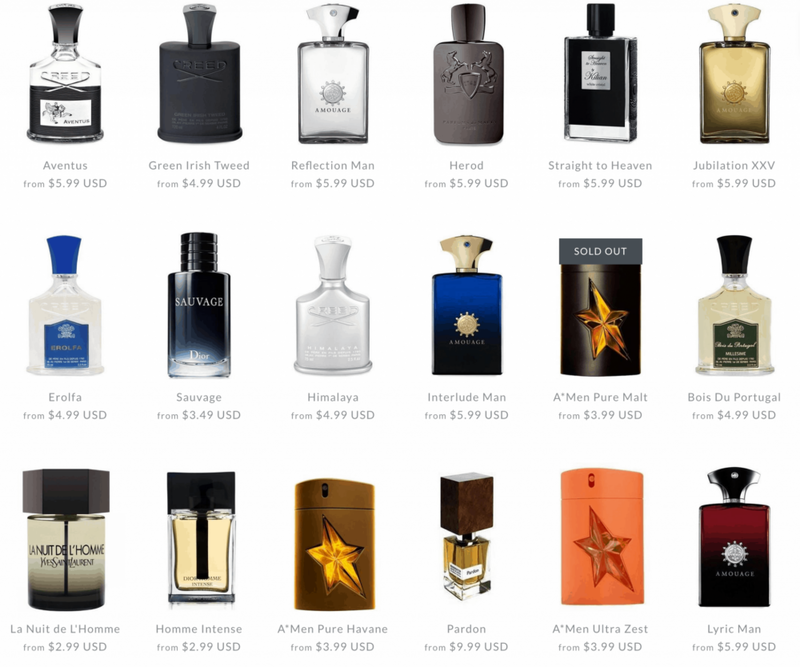 • Exclusive collections: Separating itself other online services that offer samples of fragrances, ScentSplit has a catalog of brands that offer collections exclusive to the service. • Free domestic shipping: No surprise shipping charges, free shipping on all international orders over 100 dollars. • Gift cards: Apart from its normal catalog-based services, ScentSplit offers gift cards of different prices. • No subscription service: Many online sampling businesses offer subscriptions to their service for a monthly or annual fee. This allows customers to receive sampling packages every so often. Unfortunately, ScentSplit only offers direct purchases from its catalog. • Confusing order tracking service: Sadly, there have been complaints about ScentSplit's order tracking system. Various customers have mentioned it is often confusing and inaccurate. I think this question depends a little on what your goals are. If you're on a tight budget and looking for a cologne, you're probably better off just getting an inexpensive full-bottle and using that. Ounce per ounce, that's going to be a better buy. However if you're at the point that you want to take your cologne up a notch and try a bunch of luxury colognes....but aren't quite ready to make the investment in full, this is a fantastic option. For me, there's always a few colognes I know I probably wouldn't wear that often but I still want to try out and this is a perfect way to scratch that itch. Please note: Dapper Confidential may receive a portion of revenue if you click a link in this article and buy a product or service. The affiliate links are placed independently and do not influence our opinion or review.